To quit smoking is one of the hardest things to do; however, it is one of the most beneficial steps you can take to better your health. 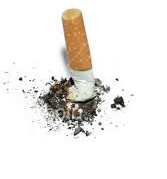 The “Just Stop!” smoking cessation program is another integrated approach exclusive to Care Wellness Center. The “Just Stop!” program utilizes Low Level Light Therapy, Herbal Supplementation and Homeopathy to help reduce stress, cravings and irritability. Our stop smoking program goes a step further by also helping to remove harmful toxins known to build in the blood, tissue and cells through habitual use of tobacco products. This can help you stop smoking not only short term but avoids longer term side effects related to smoking. We start by stimulating specific acupuncture points on the body that are associated with cravings. The use of light triggers an endorphin and serotonin release that effectively and naturally calms the body, reducing stress and the irritability many patients experience during the first 72 hours of being smoke-free. The herbal supplement and homeopathy continue to help diminish and manage stress and cravings while also pushing the toxins that trigger the cravings out of body. We understand that quitting smoking can be more difficult and more intense in cravings than those of a habitual heroin user. We are proud to offer the “Just Stop!” program and believe it is one of the best, most successful and easiest ways to quit smoking. Use of the homeopathy during the week of smoking cessation. Each visit takes less than 10 minutes to complete. People considering this quit smoking program should be committed to quitting and improving their long-term quality of life. Make an appointment for a free consultation with one of our doctors and quit smoking today! Our number is 954-586-8088. We provide the most powerful and effective Stop Smoking program for the residents of Margate, Coral Springs, Coconut Creek and Pompano Beach Florida.